With its gigantic landscape and precious natural resources, Na Hang Eco-Tourism Zone in the highland district of the northern province of Tuyen Quang has become a popular tourism destination. Earlier, it took several days to reach there from Tuyen Quang City. However, as the road to Na Hang has been upgraded and widened, it takes visitors only two hours by car to reach there. The site sprawls across 21,000ha, of which Na Hang Lake makes up for 8,000ha. The lake is also compared to "Ha Long Bay in the high mountains and thick forest". It is a meeting point of 99 mountains of different shapes, and all of them stand out against a blue sky and green water that make tourists marvel at its beauty. According to Le Thanh Son, head of the management board of Na Hang Eco-Tourism Zone, 10 relics around the lake have been recognised as national relic sites, such as Phia Vai and Phia Muon caves, Song Long Cavern, Pac Ta Temple, and Phuc Lam Pagoda. "Eco tours on the lake began five years ago. It takes visitors about six hours to discover the lake and know every legend behind the name of each spot here," said Son. Son noted that for sightseeing, visitors can hire motor boats or canoes at the boat station. On boats, visitors can get a close view of many poetically beautiful sites on the lake. One of the first such sites can be Pac Ta Mountain, the highest mountain in the district. It looks like an elephant stooping down over an alcohol jar, and this picture reflects in the green lake. If you are lucky enough, you can also see a troop of monkeys swimming in the lake. At the foot of the mountain stands an old temple dedicated to a concubine of General Tran Nhat Duat from the 13th century. The temple is famous for its beautiful scenery and sacredness and is a must-see destination for visitors. Sailing down the lake, you will have a chance to enjoy many spectacular spots, such as natural rocky platforms in strange forms, famous waterfalls such as Mo, Khuay Sung, Khuay Nhi, and Khuay Me. Along the way, as the climate gets colder, the scenery gives visitors a heavenly feeling. The five-storey high Mo waterfall, also known as Pac Ban waterfall, a nationally ranked landscape with a huge, silver water block will appear before visitors. Visitors can reach the top with the help of a ladder. Here, water flows smoothly, streaming between rocks and on moss-covered green rocks that look like velvet carpets. Standing at the top of this majestic waterfall, a cool steam punches fatigue, awakening inspiration among visitors who also get to admire the panoramic view of Na Hang. Tat Ke-Ban Bung Nature Reserve is also an attractive adventure tourism site. Spread across 42,000ha, this sanctuary has 40 mammal species, 70 bird species, 20 reptile species, and 17 species of vascular plants. Endangered species recorded in the Red Book include snub-nosed monkey, white-cheeked monkey, moon bear, and plants that are eons old. 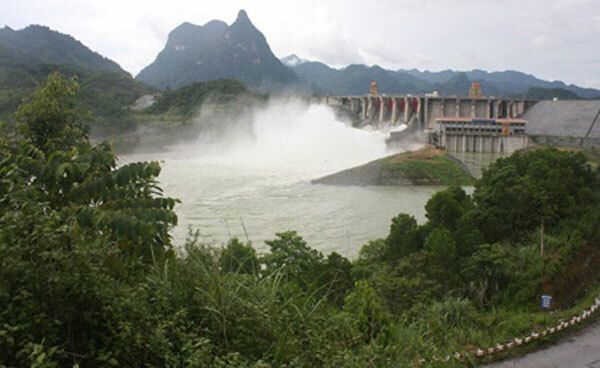 The reserve plays an important role in protecting water sources for Tuyen Quang hydropower reservoir and regulating downstream flooding. 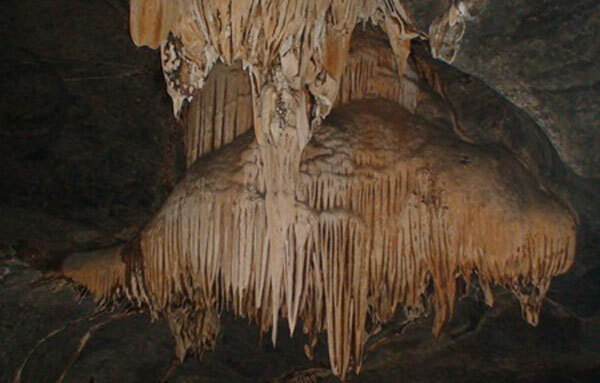 Visiting Phia Vai Cave, one can see the artefacts of ancient Vietnamese people, dating back 10,000 years. One can also walk in primeval forests, which act as green lungs, making the climate in the area very pleasant. On the way to forests, Tay ethnic people from Dao hamlets appear amid the green-canopied forest, adding to the peaceful landscape. "In Na Hang, I get to relax, walk around the beautiful landscape, and enjoy myself," said a Hanoian tourist, Nguyen Thu Thuy. The 40-year-old teacher said that she also had a chance to enjoy some local fish preparations and Shan Tuyet tea, a speciality of Na Hang. Thuy added that she also visited the Thuong Lam highland market, held every Thursday and Sunday. The market is a meeting ground of many ethnic groups such as Dao, Tay, Nung, and San Diu, whose cultural diversity supports local tourism. 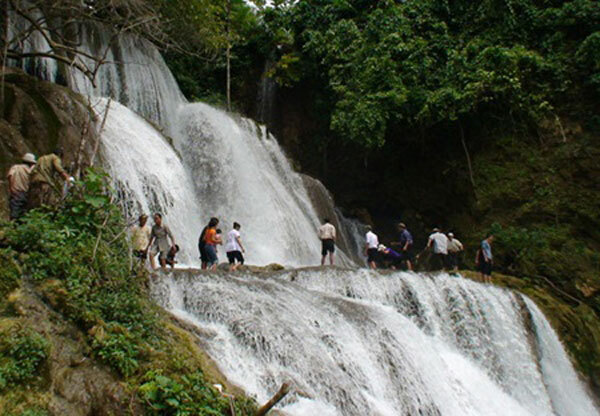 With the development of the beautiful mountainous region, Na Hang Eco-Tourism destination has become one of the three key tourism zones in Tuyen Quang Province.